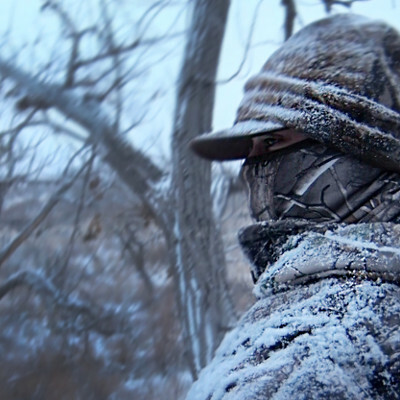 The Heater Body Suit is the ultimate piece of cold weather hunting gear. 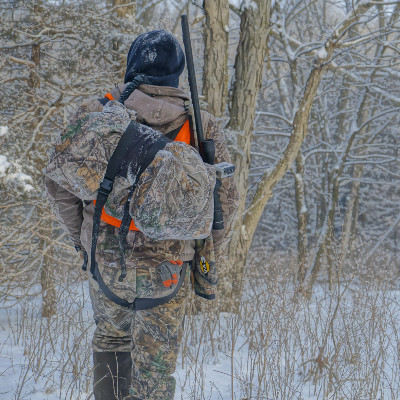 Whether you’re hunting the cold winters of Wisconsin, or chasing monster bucks up in Canada, the Heater Body Suit will keep you warm and alert throughout the duration of your hunt. No longer do you have to worry about heated battery packs or hand and foot warmers to keep you comfortable. The Heater Body Suit traps your own body heat inside the suit, creating a warm pocket of air that is guaranteed to keep you warm. Just ask one of the thousands of current Heater Body Suit owners. HUNT LONGER. HUNT HARDER. STAY COMFORTABLE. Is the Heater Body Suit machine washable? Yes, the suit is machine washable but does require line drying. Click here for more details. The Heater Body Suit weighs between 6-7 pounds depending upon the size. Where are the suits manufactured? The Heater Body Suit is manufactured right here in the United States of America, to be more exact, Green Bay, WI. We’ve been producing the suits in the United States from day one and will continue to do so to ensure a quality product and quick turn-around times. The Heater Body Suit is simply trapping your body heat, which creates an envelope of warm air. There is no need to worry about wires, buying endless batteries, or purchasing heat packs every season, which in the long run will save you money! The design is similar to that of a sleeping bag, however, this suit is tailored to your body and comes in six different sizes. 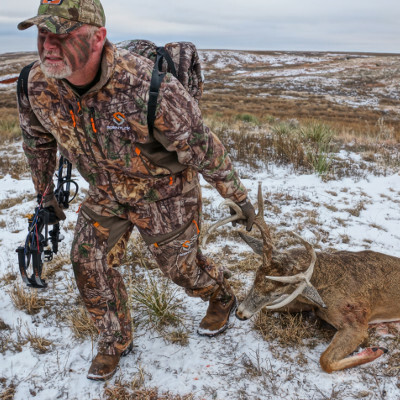 The Heater Body Suit also has legs making it easy to maneuver around while up in a tree or in a blind. If I order the wrong size or pattern, can I exchange it? Absolutely! 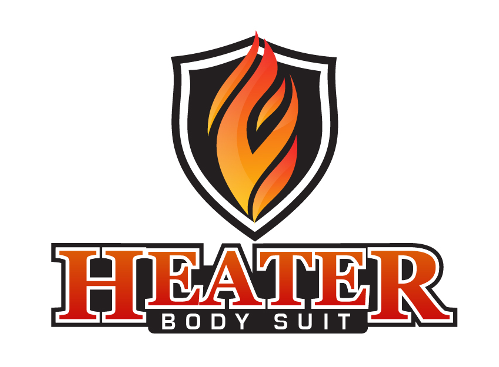 We want you to be 100% happy with your purchase of a Heater Body Suit. If you’d like to change patterns or sizes within the 90 day warranty for a new suit or 30 day warranty for a clearance suit, just simply give us a call and we’ll assist you in getting the correction made. Why doesn't your suit have sleeves? The reason the Heater Body Suit does not have sleeves is simple. You practice all summer and fall shooting your bow in light clothing, say a sweatshirt or tee shirt. You don’t want to have to try and adjust your shot now come fall just because you’re now wearing a heavy jacket and the bulk is getting in your way. With the Heater Body Suit, come time to shoot, the suits slides down to your waist allowing you unrestricted movement and more consistent shots. Also, by having your arms inside the suit near your core, you will stay much warmer. 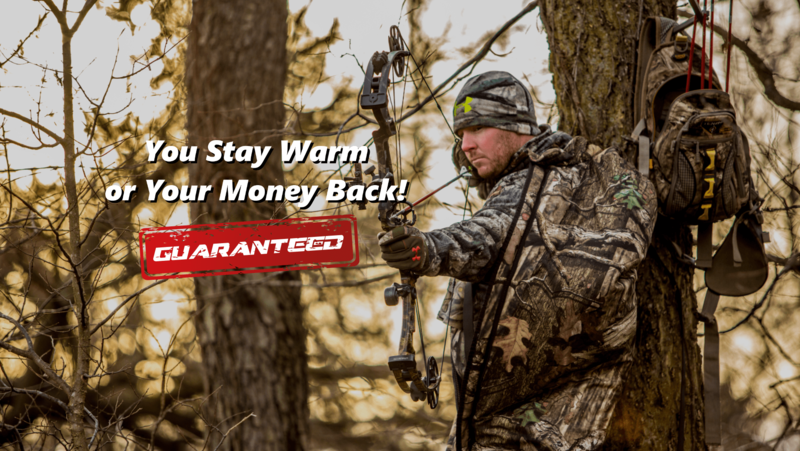 Our warranty on the suits is simple, “You Stay Warm, or Your Money Back”. You buy it, you try it, and if for any reason you are not completely satisfied with your Heater Body Suit, we’ll take it back. Now just think a minute, we’ve been around for over twenty years now with this same iron clad warranty. If the suits didn’t work, do you really think we would still be around? I climbed into my stand on a 30 degree morning, with 20 mile and hour winds and put on my Heater Body Suit hoping to make it through two hours of sitting. Not only did I make it two hours, I sat all day!! The Heater Body Suit is the best cold weather hunting gear I’ve ever bought and their customer service is outstanding. It was the coldest rifle season I’ve ever experienced and the HBS kept me warm. Late season archery hunting in Southern Connecticut, first time using the Heater Body Suit. What a great product. First time ever hunting this long and I have warm feet! Thank you! Current windchill -8 degrees, but not inside the Heater Body Suit!! Best late season weapon I’ve owned by far! Now I just have to get my wife one so she can be out!!! I hunt in Lincoln, Montana and I shot a buck after almost 7 hours in a tree stand in a Heater Body Suit at approximately -5 degrees Fahrenheit. Never would’ve made it without the suit, thanks for a great product! Love this suit, wish I discovered it years ago. It makes it so I can stay out all day thank you again suit is worth every penny! Just wanted to give you guys kudos on a great product! I wanted one for a long time and finally broke down and bought one after reviewing your competitors and I chose the Heater Body Suit. On Saturday morning it was 8 below zero and once I got into the Heater Body Suit I can tell you that there was no way to sit out there without one and it worked perfectly! I was toasty warm. These suits have been AWESOME! The season in Illinois has been brutally cold, however, even though we didn’t see many deer I was able to log many hours in the woods with temps at 5-7 degrees.